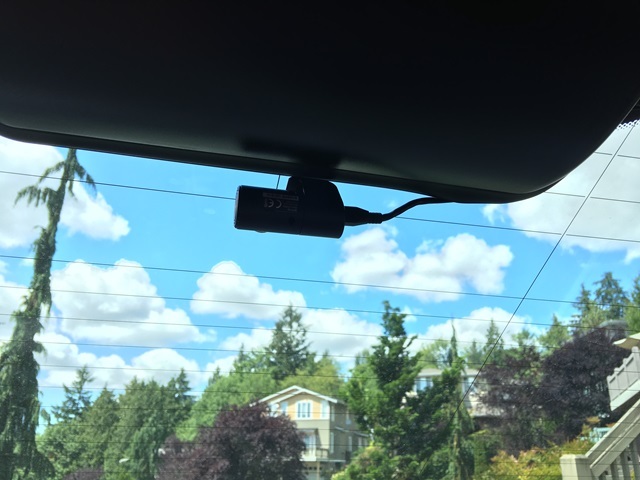 The Thinkware F770 is a dual channel dash cam. This Korean camera is one of the growing number of dual cameras that can record 1080p video for both front and rear cameras. While the F770 appears to be an updated version of the previous Thinkware F750 model, the internal hardware is likely very similar / identical. Numerous owners have been able to flash the F770 firmware on the F750 cameras. Note while this camera is typically sold as a dual camera, you can purchase the front camera only and the rear camera separately (model #BCFH-150). Unlike most dual cameras with that record at low bitrates, the F770 records 10Mbps for the front camera and 8Mbps for the rear camera. Resolution is 1080p at 30 frames per second for both cameras. The camera is based on an Ambarella A7 processor and Sony CMOS sensor. Video quality during the day is very good for both the front and rear cameras. At night the front video is good but the rear video is average. For a dual camera, the video quality is reasonable but not spectacular. Time-lapse – the F770 records at 1 frame per second while in parking mode. 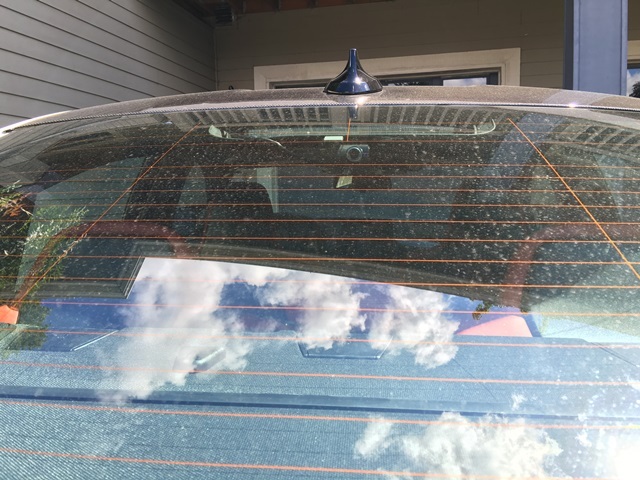 This continuously records while parked. While the front camera is not the smallest at 110mm x 60mm x 32mm, the camera has a narrow form factor and no screen making it quite discreet when installed. The F770 is slimmer and more streamlined than the F750 model. 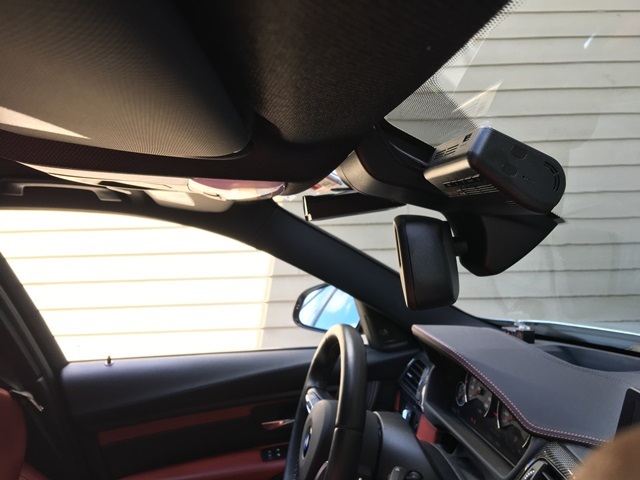 Also the windshield attachment is a thin piece of plastic which allows the camera to be mounted very close to the windshield. Overall build quality of the F770 is excellent and reliability has been very good. Thinkware is one of the largest sellers of dash cams in Korea and are known for making good quality cameras as well. 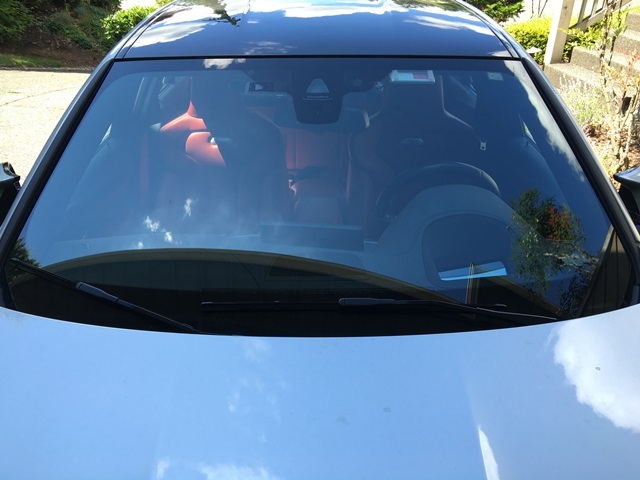 We would like to thank our member Sir Loin who did a detailed review of the F770 in our forum. A handful of users of complained of a rattling sound coming from their F770. This is due to the buttons of the camera being loose. Not a common problem but can be corrected by Thinkware (replacing the buttons) or using some tape to prevent the rattling. 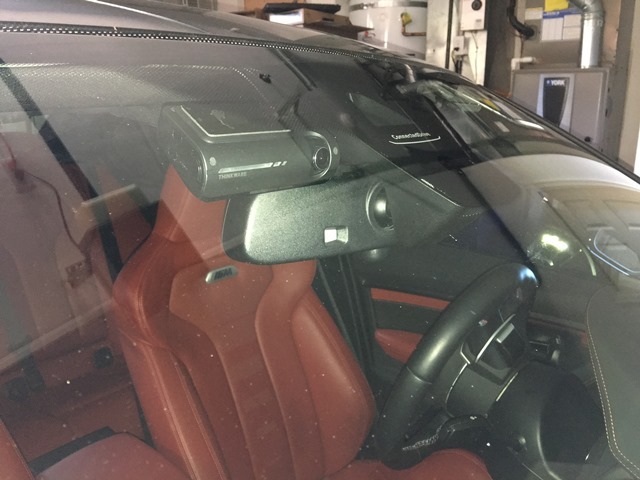 Some owners have indicated that WiFi between the camera and the Smartphone (iOS or Android) does not connect or disconnects quickly. Alternatively, uninstall and reinstall the app on your phone. Also update to the latest firmware. 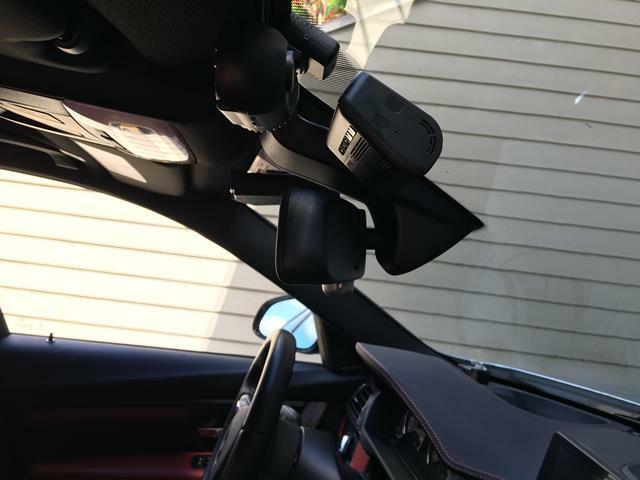 Our member Sir Loin shared the following pictures of the F770 mounted in his car. The Thinkware F770 is one of the better dual cameras available on the market however it has a steep price tag approaching $400. The camera is more discreet than previous Thinkware cameras and it is fully loaded with features such as Wifi and buffered parking mode. The camera also has excellent build quality and reliability has been very good. Video quality is good but not spectacular. If you are looking for a full-featured dual camera, the Thinkware F770 should be on your shortlist assuming you are OK with the price tag and video quality. You can read what other owners have to say about this camera in our Thinkware F770 forum. 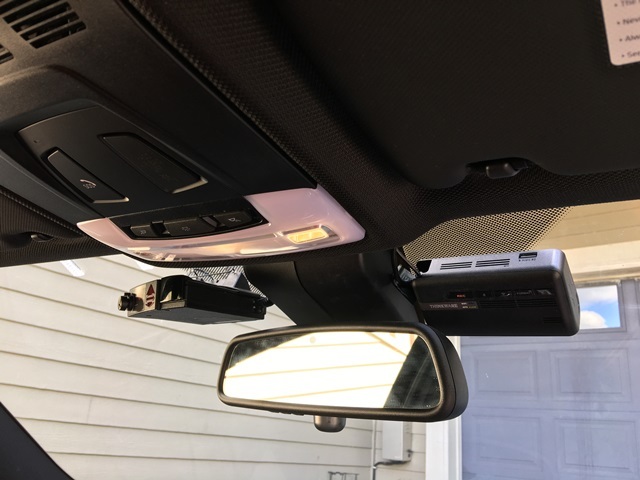 Once the dash cam is done upgrading it will tell you that “Upgrade is now complete, continuous recording will now start.” Do not power off your dash cam until it begins continuous recording as it may cause permanent damage to the dash cam. Final Word A feature packed dual camera with 1080p 30fps front and rear. High price but one of the best dual cameras available now.